Millionaire Martin Lewis said he has been told stories of people’s savings being wiped out by the scams, which he said have made some suicidal. Facebook said it is having “positive” talks with Lewis and has removed a “large volume of false ads” featuring the consumer expert. Fake Facebook ads for bitcoin and other get-rich-quick schemes are destroying people’s lives. That’s according to Martin Lewis, the millionaire consumer advice expert who is suing Facebook for defamation over fraudulent adverts bearing his name. Lewis runs MoneySavingExpert.com, a trusted source of consumer advice in Britain, which attracts 15 million users a month. He launched a lawsuit in April 2018, claiming scammers are using his trusted reputation to ensnare people into bitcoin and Cloud Trader “get-rich-quick schemes” on Facebook. 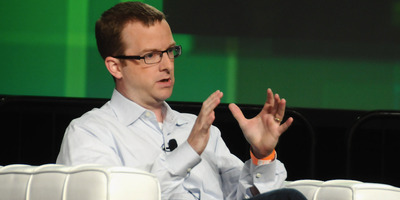 The MoneySavingExpert.com founder remains locked in talks with Facebook executives as the two parties discuss an out-of-court settlement. If it does go to court and Lewis is successful, he will donate any damages he is awarded to charity. His campaign earnt him a place in Busines Insider’s UK Tech 100, an annual ranking of the coolest people in the British technology industry. “The impact on peoples mental health of losing their retirement funds, or losing their children’s, children’s money that they thought they were investing is catastrophic and life-destructive,” he said, adding that people have told him that they are considering suicide as a result of the financial damage. Lewis, who is worth £125 million ($US163 million), is trying to extract a number of things out of Facebook before he is prepared to settle. This includes an apology and a “manifest substantial change” in the way the company deals with fake adverts, particularly where they trade off the good reputation of public figures. Araya Diaz/GettyFacebook CTO Mike Schroepfer. He suggested that Facebook hire an army of ad checkers, in the same way that the company is hot on content moderation. “No ones says that a technology company can only have technological solutions. If you can’t do it with technology, you know what you have to do, is you have to cut your profits and do it manually,” he said. Lewis’ final request is his most significant. “I want something that goes some way to putting things right, or doing good in relation for the people who have lost out,” Lewis said. He would not disclose the precise the details of what he is requesting, but his words suggest that he is seeking compensation from Facebook for those who have been stung by the scam ads. A Facebook spokeswoman said: “We know misinformation is harmful to our community which is why we don’t allow false advertising or scams on Facebook. “We have been working with Martin Lewis and his team for some time to address their concerns and we were pleased to have had a positive meeting with him in May to discuss how we’re tackling this kind of content.